After the Wood family reunion in Tallahassee, FL, we headed across the panhandle for some letterbox planting and scouting in Mobile. For some reason, letterboxing hasn't really taken root in this port city, so we're trying to get things jump started. To misquote Shoeless Joe, "If you plant, they will come." Originally a part of French Louisiana, the Alabama Gulf Coast was a focal point for colonial exploration and settlement. 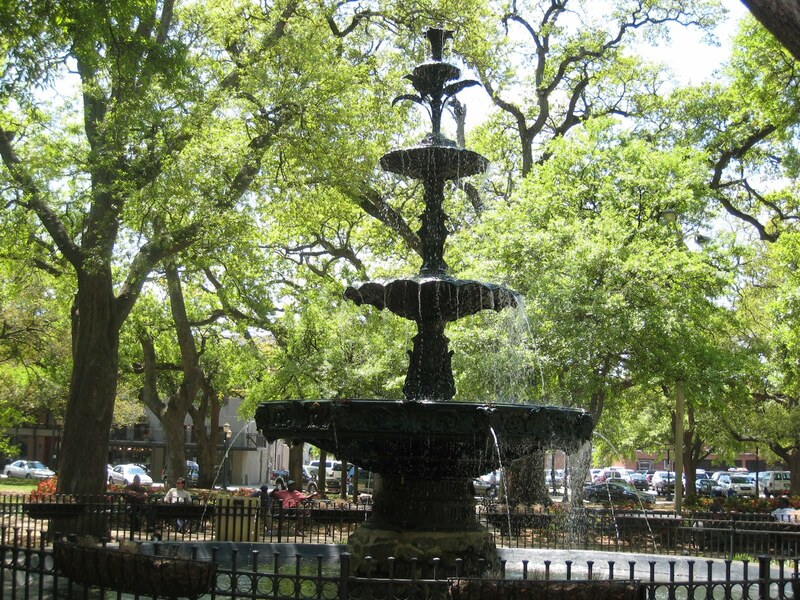 Located upriver, Mobile was the first capital of the French colony. Disease and flooding upriver caused settlers to move the town to its present location on the coast in 1711. After the warm humid climate led to the deterioration of the wooden stockade fort constructed to protect the town, a new brick and stone fort was built in 1723 to guard against Spanish or British attack on the strategic location of Mobile and its Bay as a port to the Gulf of Mexico. Named Fort Conde in honor of King Louis XIV's brother, the Prince of Conde, the fort served as a defense for Mobile and as a base for French exploration and expansion into much of the modern state of Alabama. 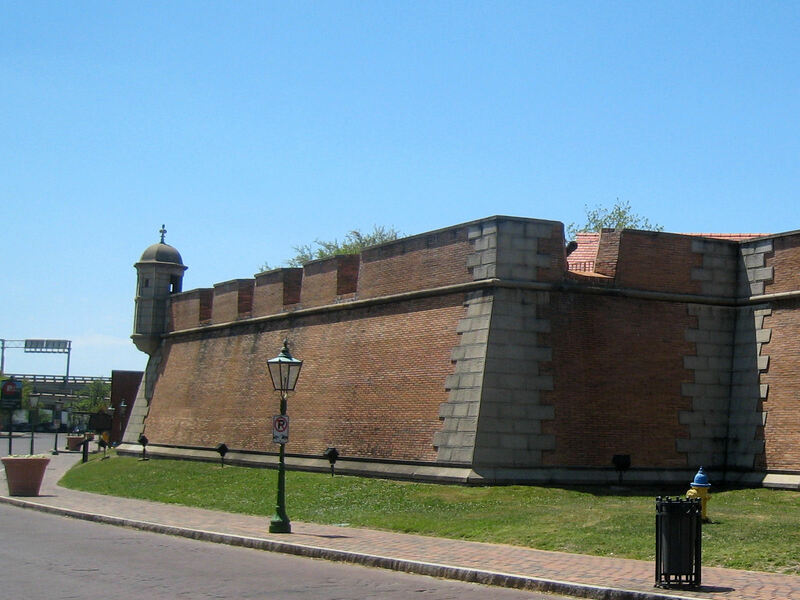 After guarding Mobile and its citizens for almost 100 years-- during times of French, Spanish, British and American rule-- the outdated fort was dismantled in 1820, and commercial and residential development spread over its former site. About one-third of the fort was reconstructed at 80% scale during the 1970s. Fort Conde now serves as the official Welcome Center for the City of Mobile. Visitors can explore the reconstructed walls and rooms where exhibits relate the history of Mobile and the fort. At the visitors center, we obtained some useful information about city locations and found a spot for a future plant. One of five letterboxes we brought to plant honors French explorer Jean Baptiste Le Moyne, Sieur de Bienville, one of the city's founders. 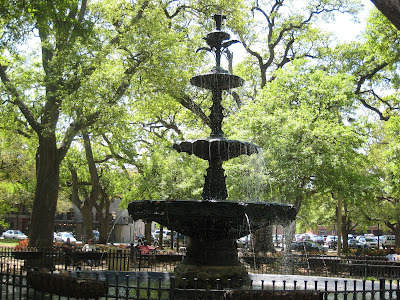 On paper, Bienville Square, a classic downtown park, seemed the obvious choice of location. In reality, there wasn't a single spot in this block-size park which would provide a safe haven for the box. 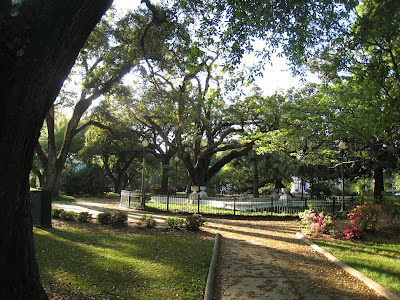 On to plan B, but we did enjoy our visit to this lovely spot which has been a public park since 1824. Mobile's oldest cemetery, Church Street Graveyard, was our next stop. There was actually a letterbox to find here, planted coincidentally by another Atlanta boxer. This historic cemetery was founded in 1819, replacing a graveyard at the site where a new cathedral was to be built. 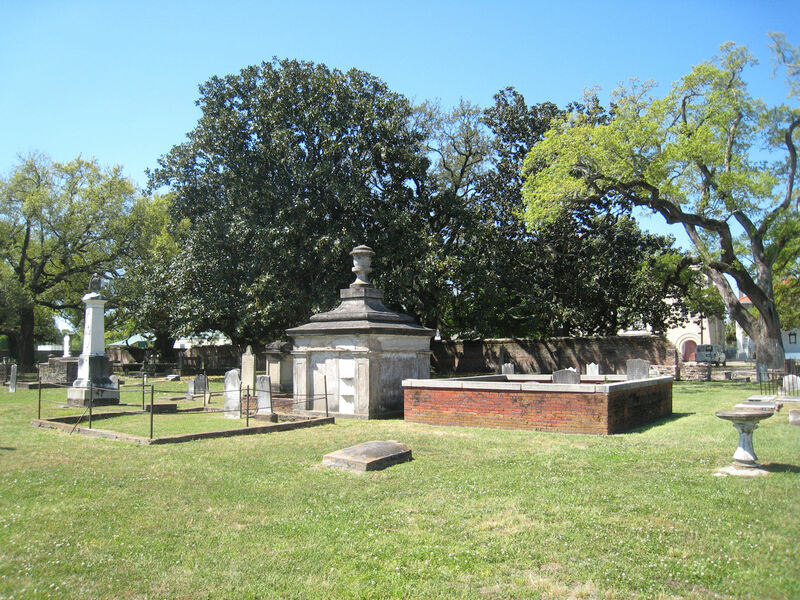 City officials divided the cemetery into three sections: one for Catholics, one for Protestants, and one section as a "graveyard for strangers." 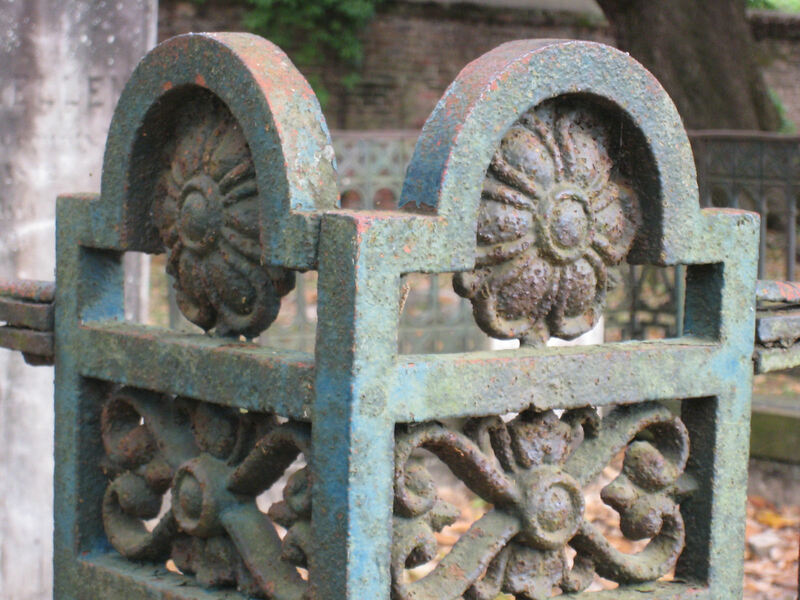 There were enough interments of all types that Church Street Graveyard was closed to new burials since 1898. However, city officials have made exceptions to allow a few notable citizens to be interred there. Many gravestones have significant stone carvings, and some beautiful examples of early wrought and cast iron work still grace this old burial ground. In the Spring Hill area of Mobile, Langan Park features lakes, natural spaces, and a tennis center, as well as playground and picnic areas. Opened in 1957, the park is also home to the city's botanical gardens, the Mobile Museum of Art and a local theater company. With 720 acres, Langan was the perfect place for some letterboxes. We planted one and found locations for a couple of future treasures. While at the park, we visited the art museum and had lunch the at Palette Cafe, a full-service restaurant in the museum's atrium. 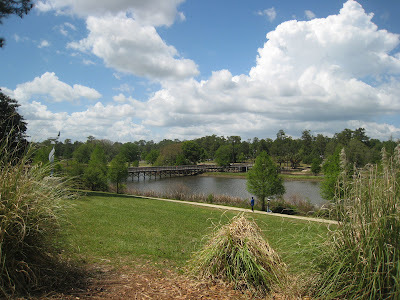 It was a perfect sunny day so we thoroughly enjoyed our view of one of Langan Park's lakes as we ate. The menu offered a variety of tempting soups, sandwiches and salads, as well as homemade cakes and pies. After lunch, we took the opportunity to play with the sculpture on the museum's front lawn. Bruce Larsen, a local sculptor, created the 18′ interactive butterfly on a 30′ steel grass blade. Like most of Larsen's constructions, the butterfly was transformed from a complex arrangement of a variety of found objects. 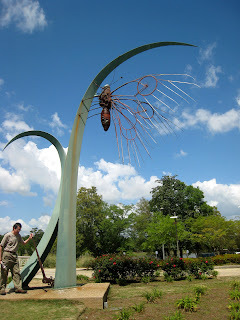 The lever at its base allows visitors to flex the butterfly's wings. According to the people of Mobile, Alabama, the earliest Mardi Gras celebration in the "New World" was held in Mobile in 1703, 15 years before the founding of New Orleans. Though some in the Big Easy may dispute this claim, Mobile is still proud of its Carnival traditions and history and in 2005 opened a carnival museum. We had a box to plant there. 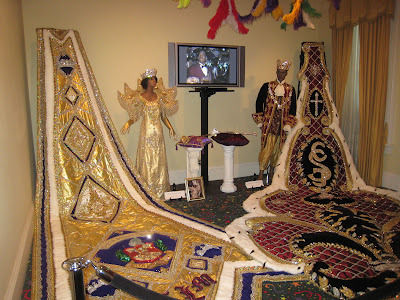 The museum exhibits a myriad of costumes and other Mardi Gras regalia. Admission was inexpensive and well worth the price, and we located a perfect hiding spot for the box on the grounds. Near the museum we visited Spanish Plaza, a downtown park that honors the Spanish occupation of the city between 1780 and 1813. 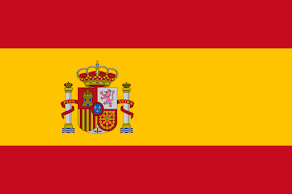 It features the Arches of Friendship, a fountain presented to Mobile by its sister city of Málaga, Spain. 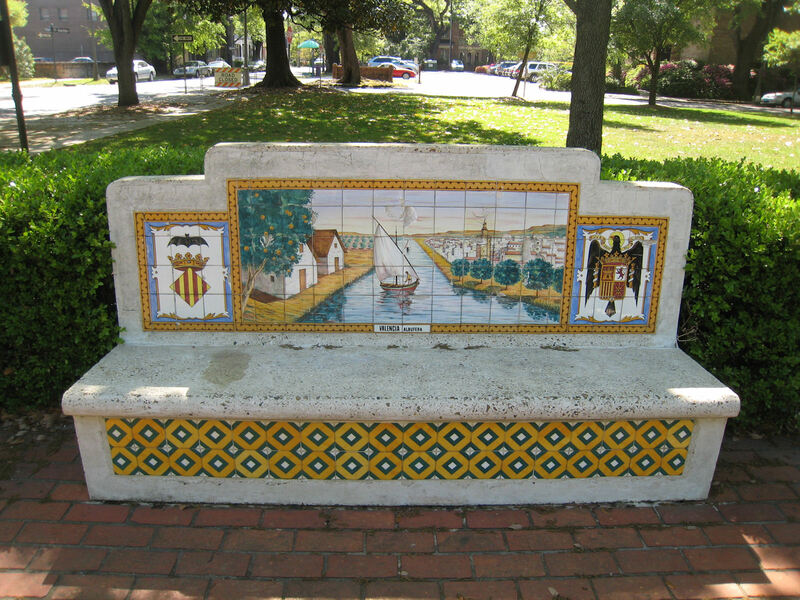 Around the park are benches decorated with ceramic tiles images of scenes from various Spanish cities. This bench depicts La Albufera, a fresh water lagoon near Valencia. At Spanish Plaza we happened upon the long-lost Little Colt, who had only recently returned to the park. Presented as a gift to Mobile from the city of Cordoba, Spain in 1967, the Little Colt is a reproduction of a statue which sits sits atop a fountain near Cordoba's city center. 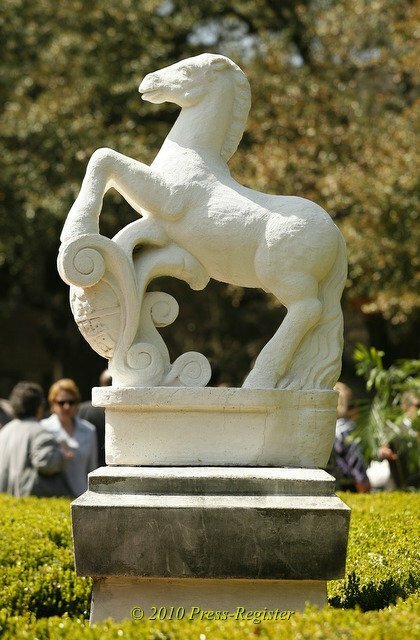 In 1979, Hurricane Frederic ripped the Little Colt from its pedestal in Spanish Plaza and damaged its rear legs. The statue spent the next two decades in a warehouse full of tombstones, all but forgotten. After a city worker rediscovered the colt in 2000, it took another 10 years for the sculpture to be repaired and returned to its original pedestal in March. This little guy definitely deserves a commemorative letterbox to tell his comeback story. 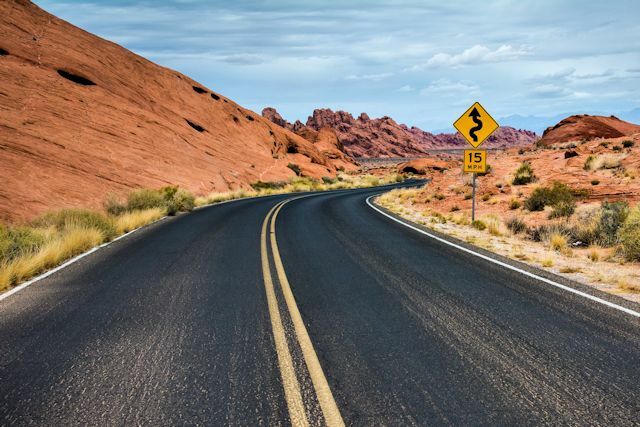 With such a long and varied history, Mobile provides many inspirations for letterboxing. After three days in the city, we had planted five boxes and left with ideas for at least a dozen more. After we return with the new crop, we'll learn whether Shoeless Joe was right or not. Will the finders come?